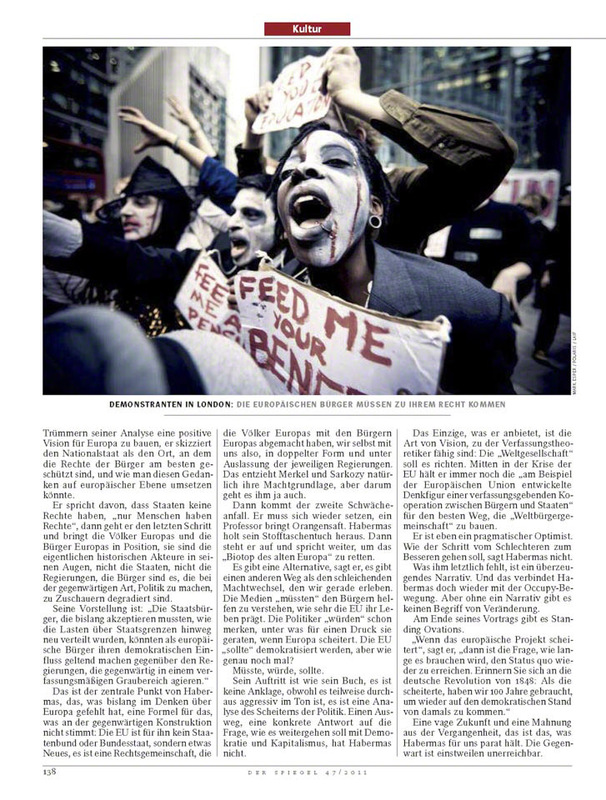 Two tear sheets of photographs as used in Der Spiegel magazine. To see a fuller selection of images from this shoot please visit the Occupy London gallery in the Stories section of this web site. 1. Photograph of An ‘Occupy London’ campaigner dressed as a zombie clutching a card which reads ‘Feed Me Your Benefits’. 2. 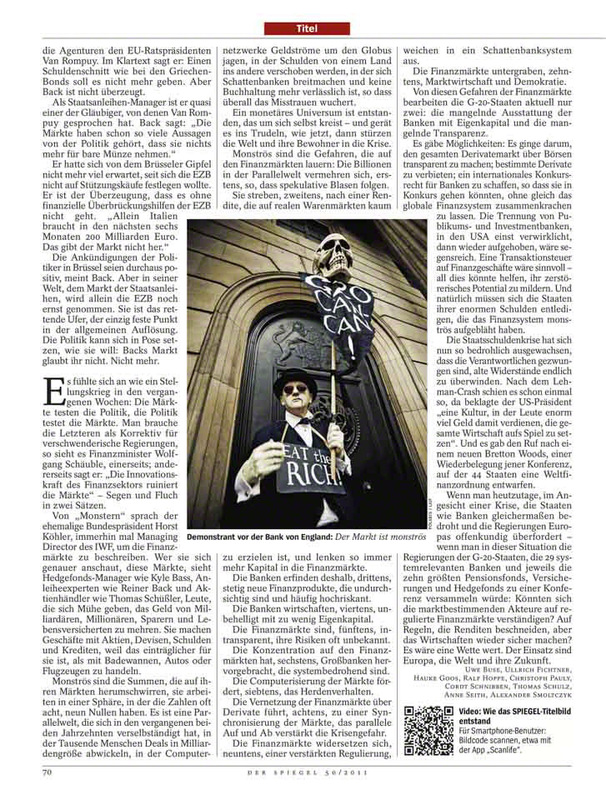 Photograph of campaigner and lecturer Chris Knight dressed as a vampire outside The Bank of England. Status: Syndicated through Polaris Images. Prints: Selected Prints available for online purchase.